‘Save more’ is often one of the top 10 new year’s resolutions people make, but usually find hard to keep. This Tip Thursday, we bring you some advice on proper financial management from economist and The Gleaner columnist Dr Andre Haughton, to help you achieve your 2015 financial goals. 1. Track your monthly spending. Many people have no idea how much money they spend on food, bills, clothing, entertainment, etc. per month. In order to have a healthy financial position, it is important to first make record of how much you spend on a monthly basis. This will provide an idea of you household’s or business’ cost structure. 2. Develop a budget and stick to it as closely as possible. After recording your average monthly expenditure, develop a realistic budget based on your important expenses and track to see that you are sticking to your budget closely. Only making allowances for very important unforeseen events, record these unforeseen events (hospital emergency visits, lawsuits etc) to see how they impact you budget throughout the year. 3. Develop a marginal propensity to save. Your marginal propensity to save is the portion of your income that you save on a monthly basis. For example, if you receive $100,000 per month and you budget to spend $80,000 and save $20,000, your marginal propensity to save is 20 per cent. Try to improve on this margin if your budgeted expenditure allows you to do so as time progresses. Your savings are very important, it provides the cushion of cash for rainy days or in the event that you lose your job or someone in your family becomes very ill; always budget for savings. 4. Avoid late fees and charges. Most companies charge late fees when bills are not paid on time. It is important to avoid these late fees and charges by paying bills on time to the best of your ability. Record your monthly bills and due dates and keep reminders on your phone or elsewhere to make sure you pay bills on time. Late fees encountered every month for the year can add up and prove to be very costly unknowingly. 5. Analyse you debt and credit position. Always keep check of how much you owe and budget debt repayment in your monthly plans. Remember, if you borrow money from someone, it is not yours. Budget to repay this and try not to borrow from one person to pay another, especially if you are paying large interest on these debts. You will end up paying much more for the same debt over a longer period of time. 6. Monitor credit card debt. Credit cards can be very useful, especially for shopping online and engaging in cashless spending for security reasons. People increase debt very easy via credit cards. It is important to keep track of your credit card spending and monitor your repayments on a monthly basis. Credit cards are some of the most expensive debts as they charge interest rates per day plus a fee for late payment, try as best as possible to service your credit card bill on a monthly basis to avoid interest rates and late fees. 7. Take advantage of free money. Some employers offer contribution to match your savings for retirement, if you work for one of these institutions; be sure to pay the maximum amount so that you can receive the maximum contribution from your employers. Also be sure to use any coupons, stubs etc that you receive. This will help to minimise you total expenditure on a monthly basis. 8. Analyse your insurance policy. Life and health insurance policies may take up a portion of your monthly expenditures for which you might not have the appropriate coverage. Be sure to analyse your insurance policy to reduce payments to a minimum while getting maximum coverage over time. 9. Seek sound financial advice. With sound financial advice, people and their businesses can improve their financial position and become gradually self-sustainable and profitable. Never be afraid to get professional financial advice and consulting; it will be worth it in the long run. 10. Make rational spending decisions. Finally, always make sure your choice to spend is rational. A rational choice weighs up the cost and benefit associated with a particular spending. If the benefit associated with a particular spending is greater than the cost, then and only then is the spending rational. 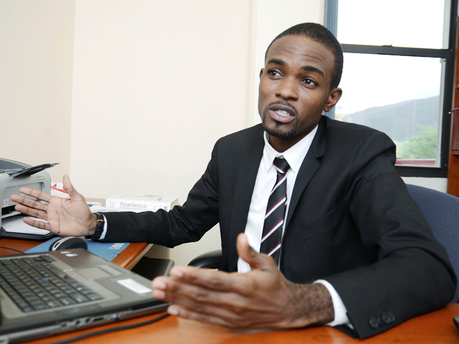 Dr André Haughton is a lecturer in the Department of Economics on the Mona campus of the University of the West Indies. Follow him on twitter @DrAndreHaughton; or email editorial@gleanerjm.com.